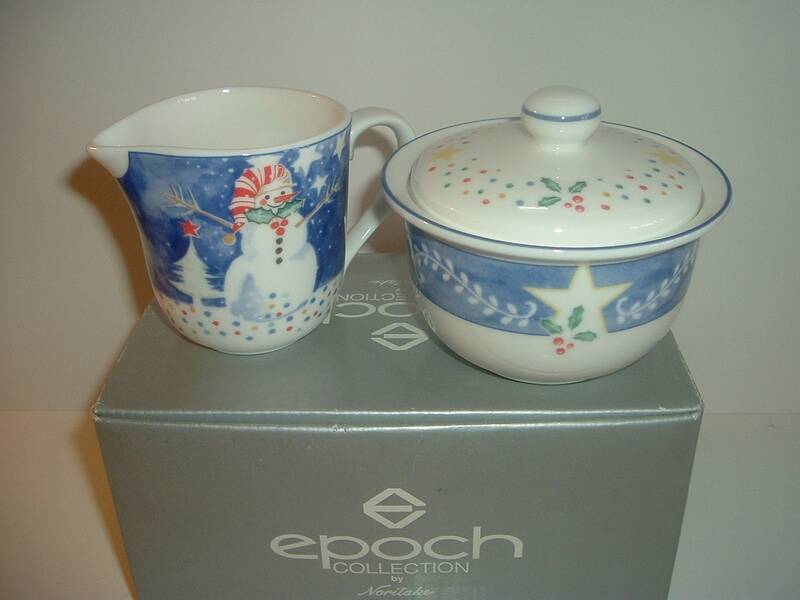 This Noritake Epoch Mr. Snowman pair consists of a creamer measuring approx. 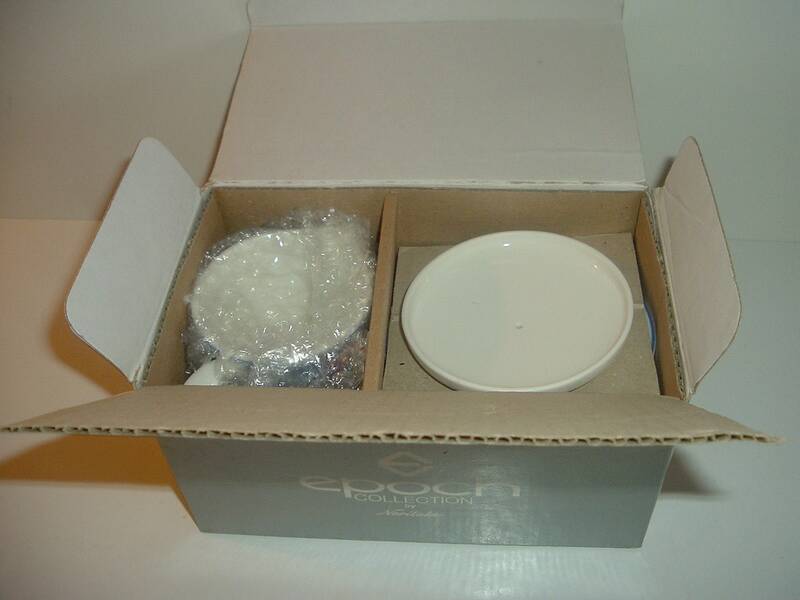 3 3/8"H and 4.75" from spout to handle, and lidded sugar measuring approx. 3 7/8"H including lid and 4.5"W (measured straight across the sugar's top rim). Both are excellent with no chips or cracks. 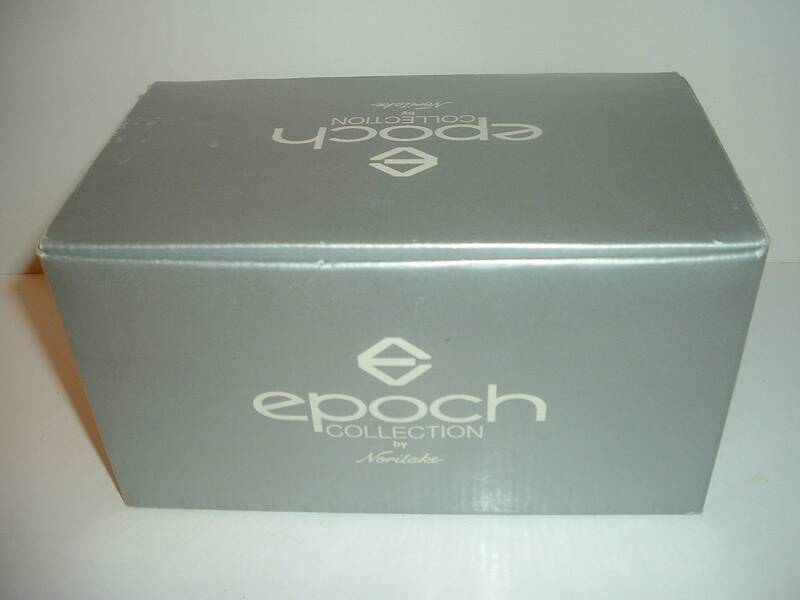 Still with their original box. 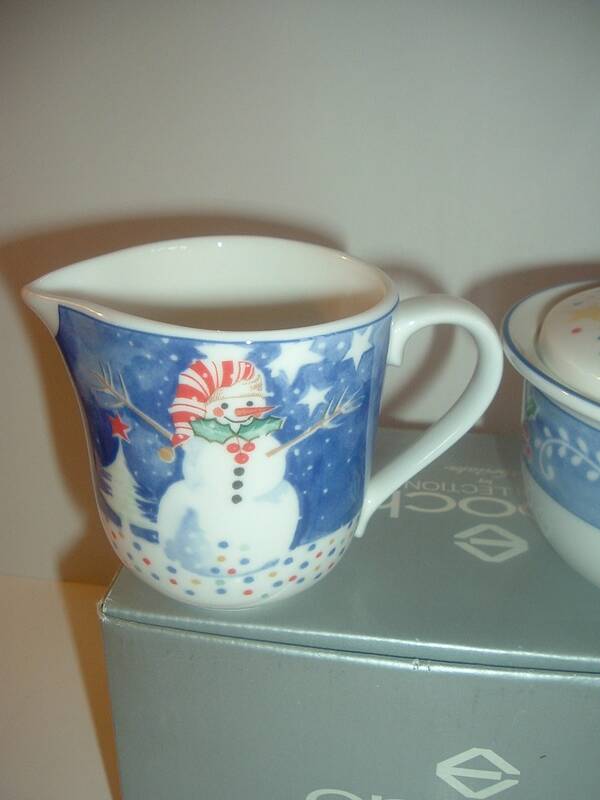 The creamer features Mr. Snowman. 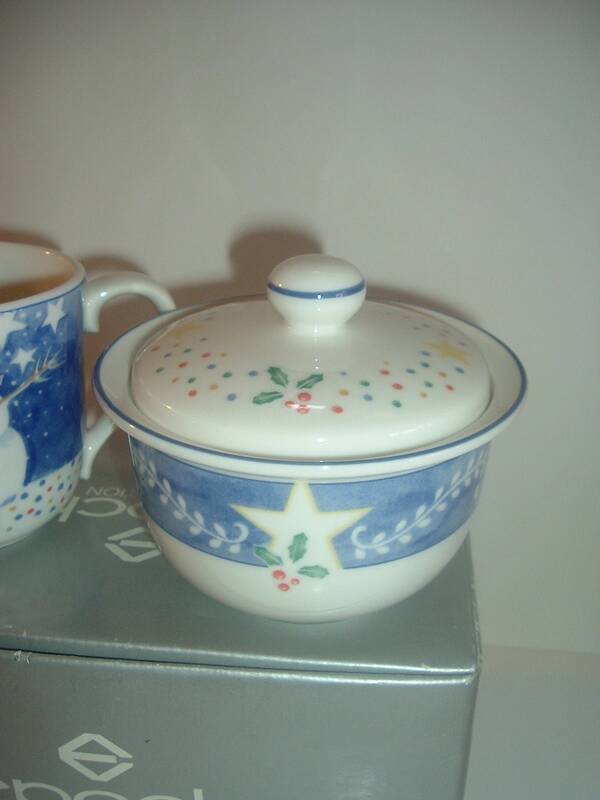 The lidded sugar does not have the snowman, but has the decorative holly and stars that are a part of the pattern. 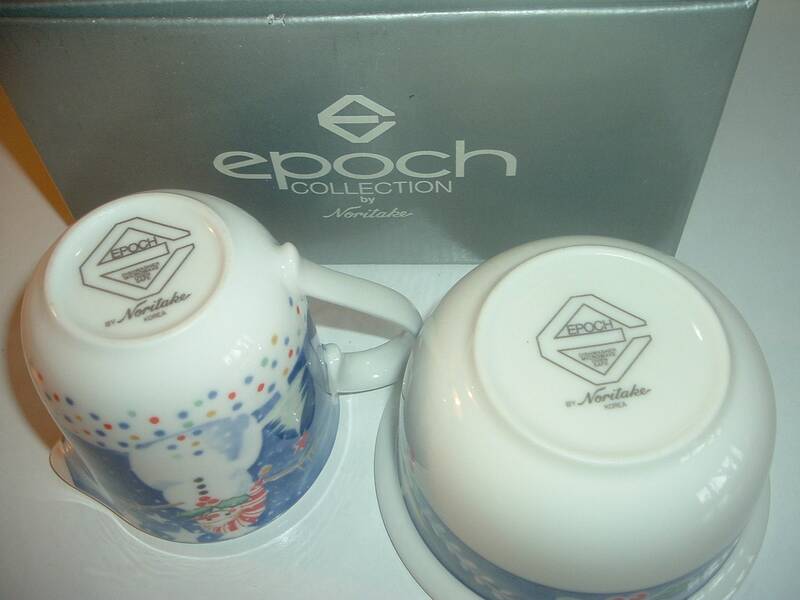 A nice set! I gladly combine shipping.